Sunroof, Heated Leather Seats, Navigation, Rear Air, Alloy Wheels, BANG & OLUFSEN SOUND SYSTEM, EXECUTIVE PACKAGE. Donington Grey Metallic exterior and Black Extended Merino Leather interior, X6 M Sports Activity Coupe trim. CLICK NOW! Leather Seats, Navigation, Sunroof, All Wheel Drive, Power Liftgate, Rear Air, Turbocharged, iPod/MP3 Input, Onboard Communications System, Aluminum Wheels, Keyless Start, Dual Zone A/C, Hands-Free Liftgate, Smart Device Integration, Blind Spot Monitor. Rear Spoiler, Remote Trunk Release, Keyless Entry, Privacy Glass, Child Safety Locks. EXECUTIVE PACKAGE Soft-Close Automatic Doors, Parking Assistant, Heated Rear Seats, Front Ventilated Seats, Enhanced USB & Bluetooth (ZEB), Rear Manual Side Window Shades, Head-Up Display, Automatic High Beams, Surround View Cameras, Adaptive Full LED Lights, WiFi Hotspot, Wireless Charging, Heated Steering Wheel, BANG & OLUFSEN SOUND SYSTEM. BMW X6 M Sports Activity Coupe with Donington Grey Metallic exterior and Black Extended Merino Leather interior features a 8 Cylinder Engine with 567 HP at 6000 RPM*. Find a great sale price on this 2019 BMW X6 M Sports Activity Coupe at Sterling BMW in California. This 2019 BMW X6 is located at our BMW dealership in Newport Beach. We also serve the cities of Irvine, Long Beach, and Anaheim. 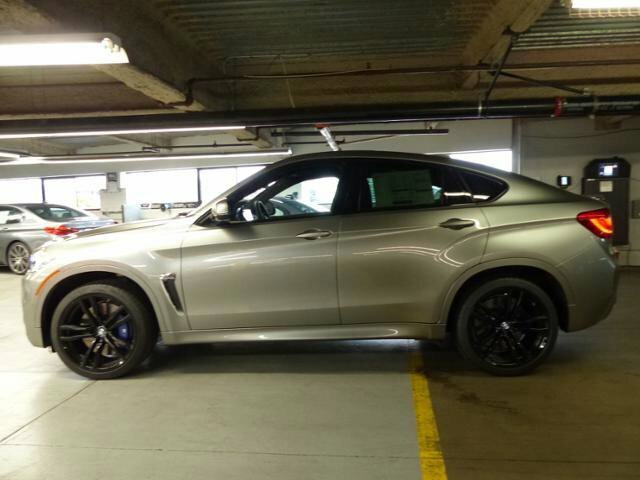 So if you're looking for a great price on this 2019 BMW X6 M Sports Activity Coupe or just looking to get an auto loan for the vehicle you want... you've come to the right place! Sterling BMW.